A YEAR OF JUBILEE REVIEWS: Very Green Back to School Blogger Sign up! 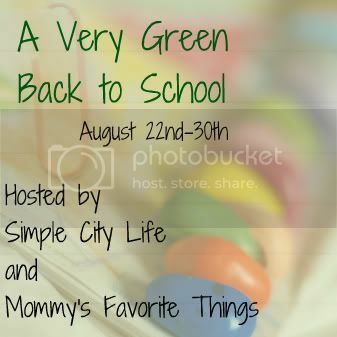 Simple City Life and Mommy's Favorite Things are excited to bring you A Very Green Back to School Giveaway Hop, which runs from August 22nd, 2012 12:01 AM EST to August 30th, 2012 11:59 PM EST and are accepting signups now. A Year of Jubilee Reviews is all signed up ready to hop!! !